We travelled to South Africa in August 2014. 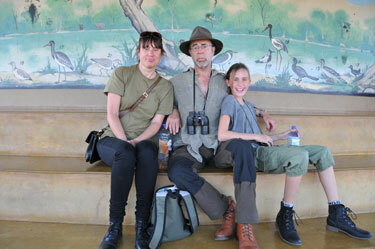 My 11 year old daughter and I went to visit relatives and go on Safari in Kruger park. I was so pleased when I found out about Pack for a Purpose. I wanted us not just to be tourists. I wanted my daughter learn about South Africa. We went on a tour of Soweto and the Hector Pieterson Museum. A number of the mothers from Montessori East in Bondi Sydney Australia donated to our delivery. We took pens and books and stationary and clothes for 2 places in Johanesburg. The Little Eden Project, supported by the Peech Hotel and Lebo Backpackers in Soweto.Our gifts were collected from us at our hotel. It was so easy to do. I have told all my friends about this great initiative.